The Church of Santo Tomas de Villanueva stands on the highest point of Miag-ao, its towers serving as lookouts against Muslim raids. It is the finest surviving example of ‘Fortress Baroque’. The sumptuous facade epitomizes the Filipino transfiguration of western decorative elements, with the figure of St Christopher on the pediment dressed in native clothes, carrying the Christ Child on his back, and holding on to a coconut palm for support. The entire riotously decorated facade is flanked by massive tapering bell towers of unequal heights. 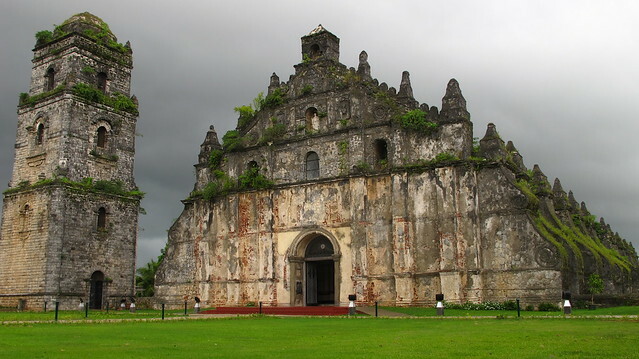 The Church of San Agustín at Paoay is the most outstanding example in the Philippines of ‘Earthquake Baroque’. Fourteen buttresses are ranged along the lines of a giant volute supporting a smaller one and surmounted by pyramidal finials. A pair of buttresses at the midpoint of each nave wall have stairways for access to the roof. The lower part of the apse and most of the walls are constructed of coral stone blocks, the upper levels being finished in brick, but this order is reversed on the facade. The massive coral stone bell tower, which was added half a century after the church was completed, stands at some distance from the church, again as a protection against damage during earthquakes. The Augustinian mission station of Miag-ao became an independent parish in 1731, when a simple church and convento (parish house) were built. However, destruction of the town by Moslem pirates in 1741 and 1754 led to the town being rebuilt in a more secure location. The new church, constructed in 1787-97, was built as a fortress, to withstand further incursions. It was, however, damaged severely by fire on two occasions – during the revolution against Spain in 1898 and in World War II. 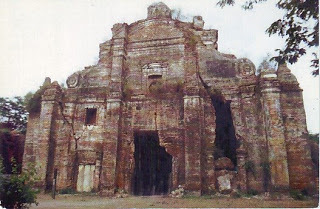 The town of Paoay is called “Bombay” in early documents, in keeping with the legend that the earliest inhabitants came from India. 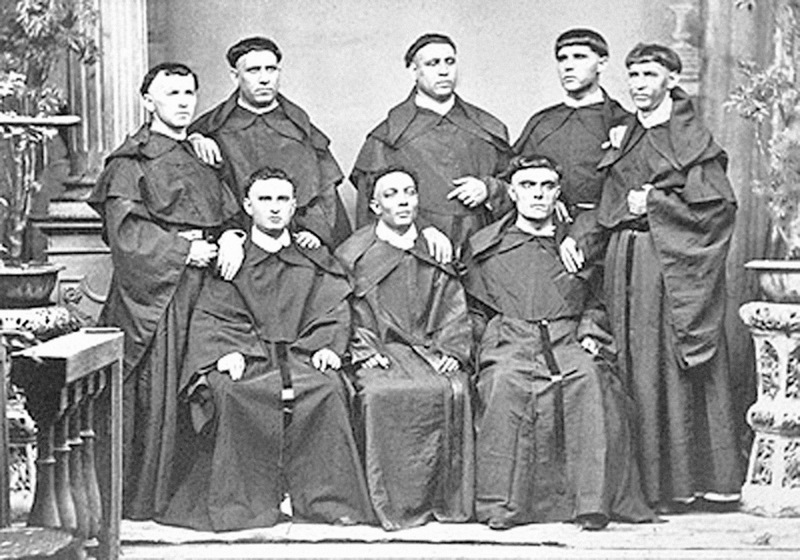 It is first mentioned in 1593 and became an Augustinian independent parish in 1686. Building work on the present church started in 1694 and it was finally completed in 1710. Reblog as the intro for my post later.